Remembered for her roles in Five Faces of Woman, Carcel de Mujeres, and nearly thirty other Mexican feature films of the 1940s and '50s, she is also notable for her work in the American movies The Brave Bulls, Stranger on Horseback, and Adventures of Casanova. After working for a time as a model, she made her screen acting debut in the 1946 feature Bodas Tragicas. Tragically, she committed suicide at the age of thirty, dying next to a photo of her unrequited love, married bullfighter Luis Miguel Dominguin. Born Miroslava Sternova, she spent her early years in Prague, Czechoslovakia, and relocated with her adoptive family to Mexico in her early teens. She was married to Jesus Jaime Obregon. 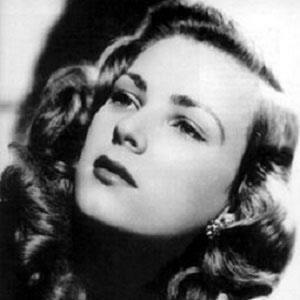 She and Pedro Infante were both in the cast of the 1955 feature film School for Tramps.